Hey everyone! We're already into the month February and as you know, there are several events coming up this month. Yes, we will walk you through each of these events, be assured; we promise some more things: we will add to your celebrations, make you well-informed about everything around you and lastly, we will assure that you make the most of all these celebrations! Yay!! Now, that's a great. Isn't it? Okay, we know that you're excited about the upcoming events and you wish to know more about it. Alright, we understand your curiosity! So, we’ll give you a brief insight into what you can look forward to this month: Chinese New Year and Valentine's Day. Now, both the occasions are sure to pack a punch and keep you feasting! 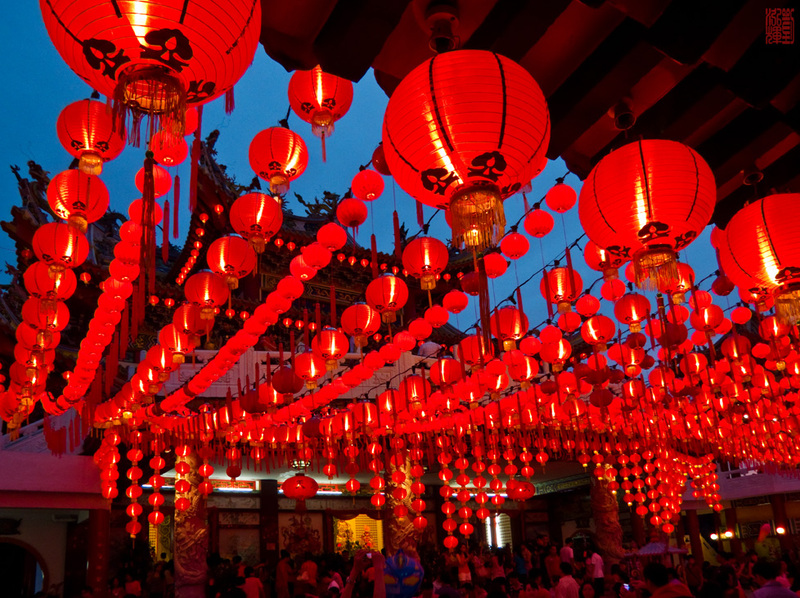 In this article, we wish to help you with your preparations for the Chinese New Year. Well, hope you remember that it's on the 8th February this year. Chinese New Year, also known as Spring Festival, is the most important festival in the Far East Asian countries, mainly those which follow the Chinese calendar. Celebrations, traditionally, run from the evening preceding the first day to the Lantern Festival on the 15th day of the first Chinese calendar month. The first day of the New Year falls on the new moon between 21 January and 20 February.Hey! Sorry to interrupt the flow of your reading, but have you observed that the entire festival is marked with the color red? Umm…You did? Exactly! The color red holds an important significance for the entire occasion. The festival of Chinese New Year has got an interesting tale to its background. The legend has it that about several years ago in the land of China, there lived a ferocious beast named Nian. This intimidating figure, Nian, was the cause of severe distress for the people. He would destroy land, property and crops; he would rob people of their food and sometimes, he would even kill people. The entire state was massively tormented by his wrong doings. But obviously, since they were very weak in front of the ruthless creature, they would place food and other goodies on their doorstep, so that they are saved from his wrath. As it is said that time changes for the good, there came a situation where a local man – being fed up of the beast’s torture – decided to do something to alleviate the situation (time to get your dictionary, sweets!). He resolved to do something that will put an end to all the atrocities put forth by the barbaric creature. And that’s when a God appeared before him instructing him to scare away the beast using the color red and fireworks. The villagers then understood that the Nian was afraid of the color red. When the New Year was about to come, the villagers would wear red clothes, hang red lanterns, and red spring scrolls on windows and doors. People also used firecrackers to frighten away the Nian. As luck would have it, the God’s instruction worked well and the country was saved from the brutalities of the wicked beast! From then on, Nian never came to the village again. The Nian was eventually captured by HongjunLaozu, an ancient Taoist monk. The Nian became HongjunLaozu's mount. So there you have it folks, the inspirational and righteous story that led to the celebration of Chinese New Year. This tale reiterates the fact that no matter how strong evil is, righteousness and virtue always triumph over evil and wrong! Interestingly, the year 2016 is the year of the monkey and for all those born under this Chinese sign, this year has a lot to offer you. We’ve attached a picture that enables you to check our Chinese birth sign based on your birth year. For all you, ‘monkey’ people out there, we give you a Hi-5! Officially, Chinese New Year is celebrated on Chuyi (?? /choo-ee/) the very first day of the New Year, and Chuxi (?? /choo-sshee/), the last day of the previous year, Chinese New Year's Eve. Traditionally, though celebrations can start much earlier than Chinese New Year's Eve. Some people start to celebrate from three weeks before itself. This date is called Laba (?? /laa-baa/), the eighth day of the twelfth Chinese month, while other pupils celebrate prior to one week of the main event— the 23rd of the twelfth month. Now, let’s come to the fun part – the festivities. As we’ve mentioned above, the festival of New Year spans for a complete fortnight (15 days). Each day has its own set of special rituals and traditions that add to the authenticity and yes, the fun element of this festival. The first day is marked with the welcoming of Gods and deities of the heavens and the Earth, which happens officially at midnight. This is followed by the traditional practice to light fireworks, burn bamboo sticks and firecrackers, and to make as much of a din as possible to chase off the evil spirits as encapsulated by Nian, the evil beast. Many groups of people, especially Buddhists, abstain from the consumption of meat on the New Year’s Day because this is believed to extend longevity of the practicing pupils. According to some other traditions, the lighting of fire is considered as a bad omen, therefore most of the food is prepared on the previous day that should be relished on the D-day. More importantly, the first day of the New Year is signified to be the day where you need to celebrate the respect you have for your elders, teachers and family members. It is about honoring the elders of the family and visiting the senior members of one’s family tree. The second day of the Chinese New Year, known as "beginning of the year” is signified with the tradition of married daughters visiting their parents, relatives and close friends. Further, some theories say that this day is the birthday of all dogs, so many people celebrate it by treating dogs to special delights. Furthermore, the second day is the Birthday of Che Kung, a deity worshipped in Hong Kong, worshippers go to Che Kung Temples to pray for his blessings. The fifteenth day of the New Year is celebrated as "Yuanxiao Festival" or the Lantern Festival. It is basically of feasting of some yummy food like Rice dumplings and a sweet glutinous rice ball brewed in a soup. People in groups walk the street with lighted candles, thus signifying the name of the festival – The Lantern festival. Now, here’s something a little mushy since we’re fast approaching the Valentine’s Day. In countries like China, Malaysia and Singapore, this day is celebrated by individuals seeking for a romantic partner. Yes, it is something very close to our Valentine’s Day. As per the tradition, single women write their name on mandarins and oranges and throw them in rivers. While single men find the oranges and eat them, the taste and flavor of the orange becomes the deciding factor here. Like for example: if the orange turns out to be sour, the relationship is thought to lead to a bad relationship; while if the orange turns to be sweet, it signifies a happy and contented relationship. So, here we go with the uniqueness and exuberance of this delightful festival that has everyone in its grip. Gone are the days when it was famous only in a few South-East Asian countries; today the entire world celebrates and looks forward to the Chinese New Year for its amazing sense of tradition, ritual and feasting that embraces human emotions and celebrates the gift of elders, love, humanity and life! Cheers!!! Best Brains wishes all of you a Very Happy and Prosperous Chinese New Year!! !